SUNRISE, Fla. — William Nylander may not end up being the trailblazer we once thought he’d be. For it’s hard to imagine any potential Group 2 free agent watching how these last few months have unfolded for the 22-year-old Swede and willingly choosing to skate a mile in his boots. It’s just been hard, plain and simple. First the extended contract standoff with the Toronto Maple Leafs — which, for the sake of clarity, should be viewed just as much a failing of management as the player himself — and then the least productive stretch of hockey Nylander’s ever had. 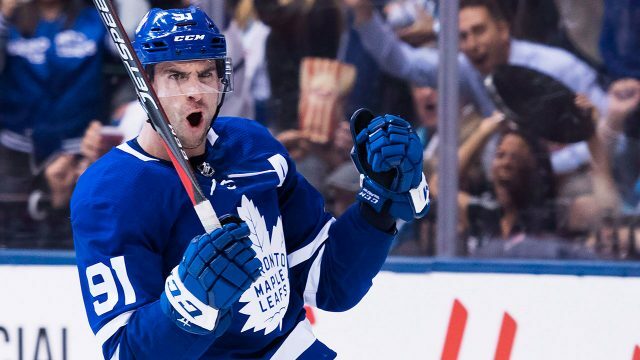 And now, a stint on the fourth line during Friday’s 3-1 loss to the Florida Panthers, which is about the last place Mike Babcock wants to put a talented winger who is pulling in more than $53,000 per day this season and due to receive an additional $8.3-million signing bonus on July 1. His experience should offer a renewed appreciation for the importance of training camp and even the snooze-fest exhibition games. Nylander missed all of those, plus 28 more in the regular season, and has been chasing it ever since. There is the odd exceptional player who can jump on the NHL treadmill at full trot and avoid stumbling, like Montreal Canadiens defenceman Shea Weber, who hasn’t missed a beat after a nine-month absence for foot and knee injuries, or Mario Lemieux on any number of occasions in years gone by. However, that doesn’t seem like a reasonable expectation even when you’re dealing with a well-conditioned player with special talents like Nylander. He’d never previously gone more than five NHL games without a point and already has separate droughts of seven and eight games since his Dec. 6 return. Babcock and the Leafs training staff have been extremely patient with Nylander. They estimated it would take him the equivalent of a training camp plus 12 days to get back up to full speed, based on heart rate data tracked by the organization’s sports science department, and have seen signs that he’s getting there. Nylander had a strong night in Thursday’s 4-2 win over the league-leading Tampa Bay Lightning, engaging in board battles and firing high or wide on a couple Grade A opportunities. He wasn’t far from breaking through. That was followed by a humbling step back against the Panthers, where Nylander was quickly dropped from a line with Auston Matthews and Zach Hyman/Andreas Johnsson and only saw three total shifts in the second period. He still managed to be on the ice for all three Florida goals against and didn’t record a shot attempt in 12:15 of ice time. He was uncharacteristically forthright afterwards, describing his stretch of three points in 19 games as completely foreign. It left him thinking about looking up some of his own highlights from past seasons in an effort to win back some confidence. He need only look to Matthews for evidence of how tough it can be to get back up to speed in-season. The centre sat out a month with a shoulder injury and has gone through his own scoring slump, not looking like the consistent game-breaker we know him to be while scoring once in 12 games. The same goes for Nylander. He is still controlling the puck through the neutral zone for clean entries and producing strong possession numbers, but hasn’t consistently been in a position to score. It’ll come, likely sooner than later, but there’s no true timeline for his scoring touch to reappear. On Friday night in Sunrise, Babcock gave up waiting. He dropped his $6.9-million winger to a spot beside Frederik Gauthier and Par Lindholm. In Nylander’s case, the search has been on for some time now.